AOPA has a write up with some unknown (at least to me) facts about the second man on the moon. He had “The Right Stuff”. 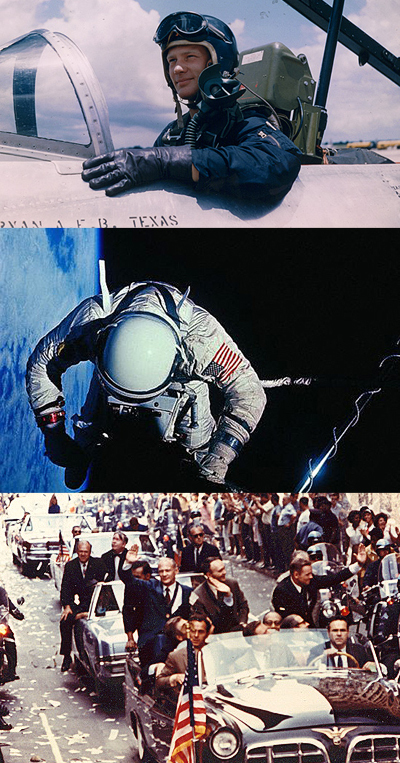 Buzz Aldrin has lived an extraordinary life. He graduated third in his class at West Point, downed two MiGs in Korea, got a Ph.D. in Astronautics from MIT, and completed what was at the time the longest spacewalk in history before Apollo 11. Here are some of his thoughts on flying. Favorite aircraft… No hesitation—it was the F–86. But the T–28 was something that had a lot of promise. I tried a double Immelman and passed out on the way up. I woke up heading straight down for Texas with the throttle in one hand and a stick inanother. I didn’t do that again until I had a G-suit in an F–86. Under stress… I was by myself after I saw the guy bail out of the MiG well north of the Yalu River. As a solo heading south, I didn’t have anyone protecting my rear end. The airplane wasn’t climbing as fast as I thought it should. I realized with great embarrassment that my speed brakes were out. I was trying to climb back home with full power and my speed brakes out. How stupid can you be? Experience as a pilot brings a successful pilot—the experience of knowing how to control your emotions by a real increased alertness. Advice… Prudent expansive flying. Do things that are within the legality of flying but may not be normal run of the mill. Be aggressive but prudent at the same time. You gotta know your limits and the airplane’s limits. Airplane emergencies… There was a test flight of an F-86 while I was at the Air Force Academy. I climbed up to high altitude and the inside pressure is increased when you turn the heat up. I got to altitude, turned the heat up, and all the sudden there was a horrendous explosion. I grabbed the [ejection] handles because there was fog in the cockpit. But the instruments all looked normal so I let go of the handles. The canopy had exploded, so I had to bring it down for a landing. But I’ve never had to really bail out, fortunately. Fun in jets… The last flight I had in an F-86, I knew that. It was legal to do spins in that model. I had never done spins in a jet before. I learned more in that one flight about being together with an airplane where it was a part of me and I was a part of it after having done about 8 or 10 spins. I wish I had done that before going to Korea. I totally agree with his point about knowing your limits and your aircraft’s limits. Too many pilots I meet think timid means “safe”. They never try even mild aerobatics like steep turns, spins or wing overs. I’m not suggesting a pilot needs to get crazy with his plane but he needs to know and keep current at all types of flying, not just strait and level driving. 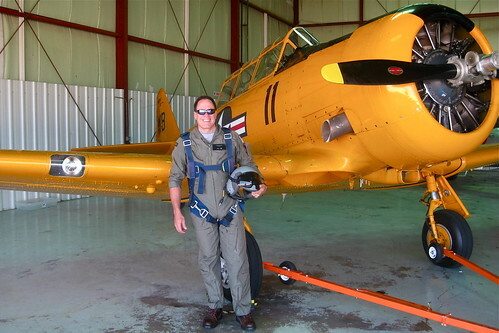 A little time with an aerobatic instructor is always a good thing. Whenever I check out a new owner in a plane I ferried or a new pilot who wants to fly skydivers the first thing I have them do is wring out the plane because the time to practice emergency maneuvers is not during an emergency. I’m in full agreement *but* how does a pilot know when he traverses from the comfort zone to the learning zone and avoids,if possible, the panic zone wherein he should never have entered? Not all “Learning Zone” situations are in training with an instructor. (Aerobatics is a notable exception). This is somewhat of a gray area relative to profiency. Sometimes a pilot bites off more than he/ she can chew. No doubt though. It’s important to keep learning. Get a new rating or new endorsement. Can you land it on the numbers? In what new aircraft can you get checked out? Spin training?-Yes! Bad judgement leads to problems: A new pilot may want to expand his envelope beyond severe clear and try flying in 5 mile & and haze and MVFR can devolve into something worse. That can be a scary envelope to test. And BTW any idea how to change the little green face in my posts? I’m not really that grumpy! In moments, you too can be amoung the smiling (or faceless) crowd. Easy: Just log in to Gravatar and upload a picture. Either that 80’s photo of you with longer hair or the picture inside your PAC750. Or choose something “Scary”. It will henceforward upload into many other sites along with your comments. Speed-brakes, eh? So I’m not the only one! Only mine came when sweating out a rough session of a check-ride in T-37s in plt tng. I was in steep let-down from 20 grand and was concentrating so much on hitting the alt. without going thru it in transition to traffic pattern altitude back to base that I forgot o retract the speed-breaks on roll-out. On the 37 it is one giant panel at bottom right under cockpit. My IP gave me enouugh rope to hang my self while I was fiercely concentrating on the turn points back to base. Finally he said: “Notice that thump-thump sound–doesn’t ride feel a little bumpy to you?” Only time I got “pinked ” for a ride! (3 times in a row and then “prog”-ride. Fail THAT and then the final “Elim” ride. Pass that and it’s back to square one–sort of. Just glad I never had to face that deal! But it’s good to know I’m not the only one! LOL. You flew the Tweet? I thought you may have used the Talon. I take back my disparaging comments about the bird. Sort of. No, I can’t. It looks funny. As a refitted Dragonfly it had a great record in Vietnam for attack and CAS. and the Tweet was cheap. More bangola for the buck. One close call on a checkride was when the FAA examiner said (thought he said on approach)” It’s clear on the runway”. This was for my PPL at the time and I made a smooth landing as he stared at me in disbelief. He actually said: “There’s a deer on the runway” and wanted me to go around. Spins– isn’t it funny how standards, procedures, etc., change/evolve over time? Here’s a combat veteran who had never been trained to spin the 86 and now spins/recovery are part of every training syllabus not only in plt tng but for almost every operational fighter aircraft in the inventory..